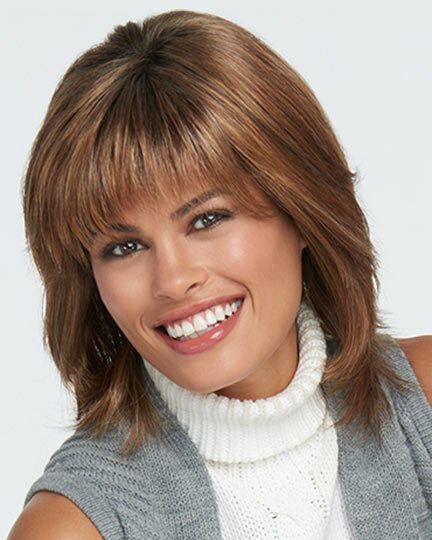 Front: 4.0", Crown: 7.0", Sides: 4.50", Back: 4.50", Nape: 2.75"
Muse by Raquel Welch is a classic chin-length page with fringe bangs which can be swept off the face. 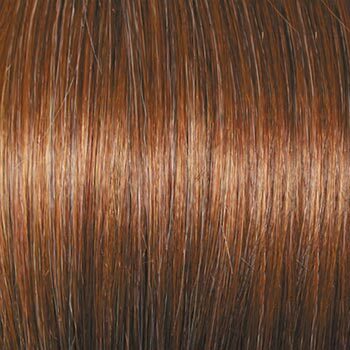 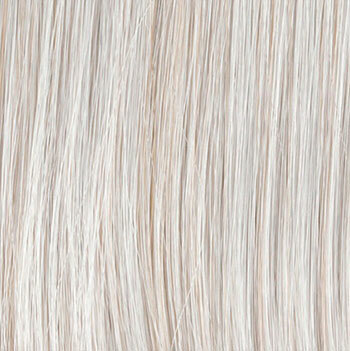 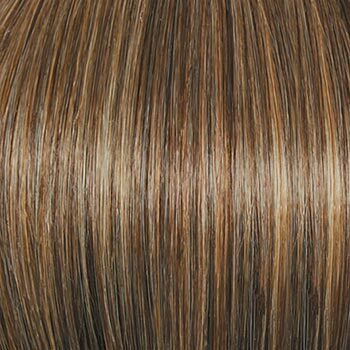 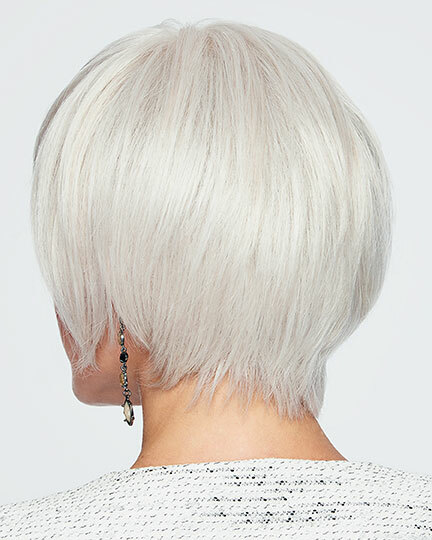 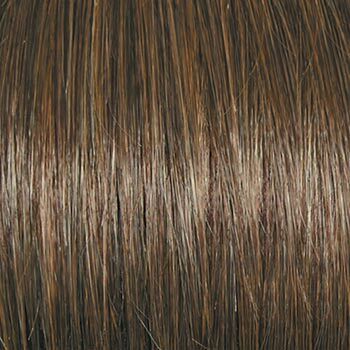 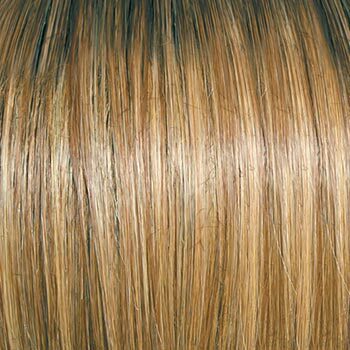 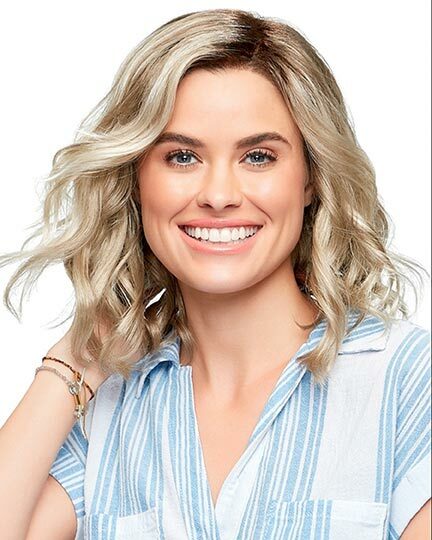 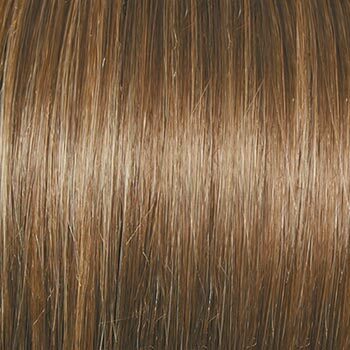 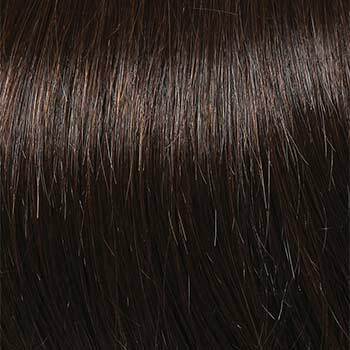 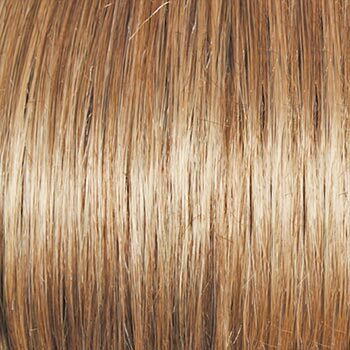 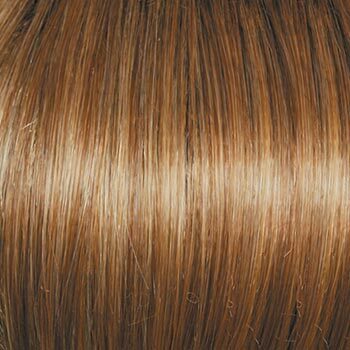 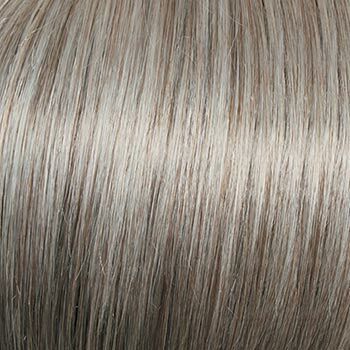 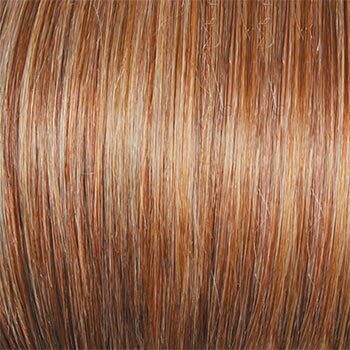 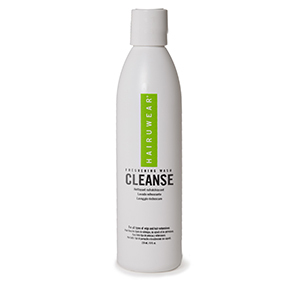 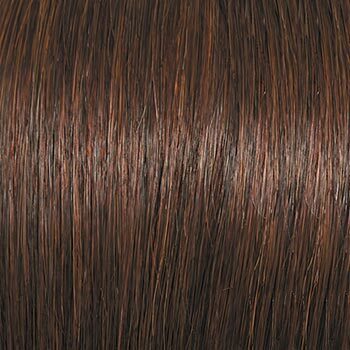 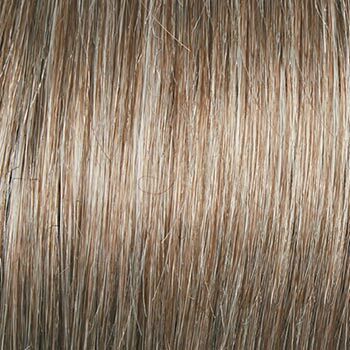 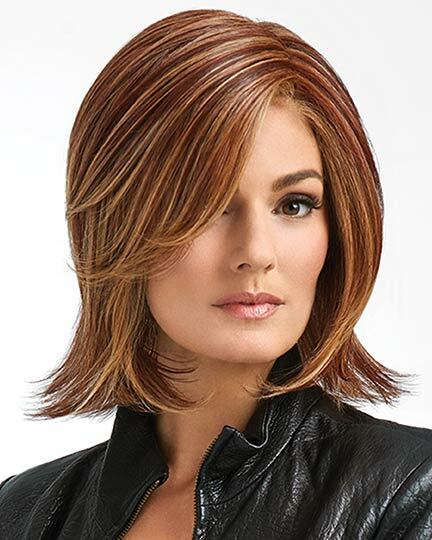 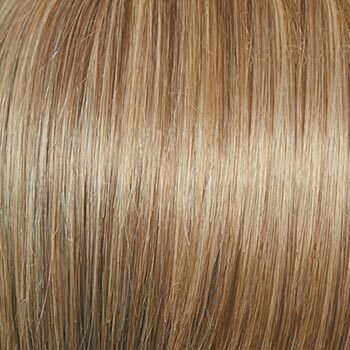 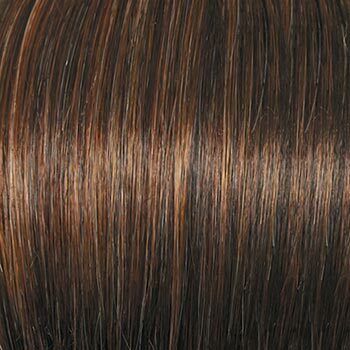 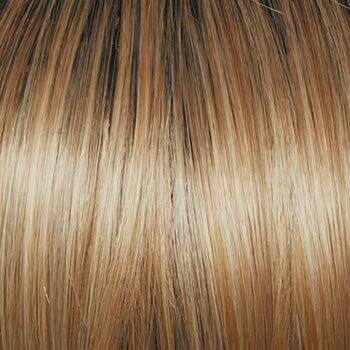 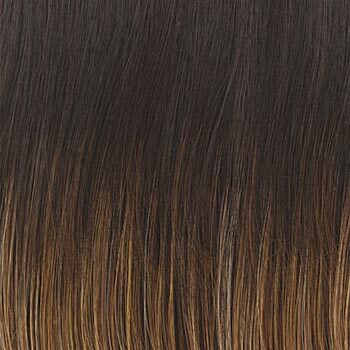 First introduced in the Raquel Welch 2013 Spring Collection, Raquel Welch Muse wigs feature a monofilament top with a Sheer Indulgence l 1/2" deep, virtually invisible sheer lace front. 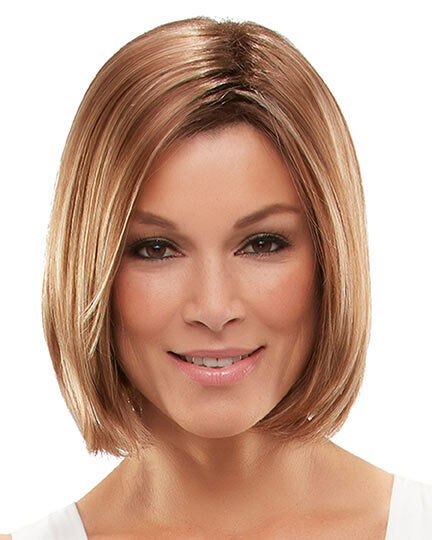 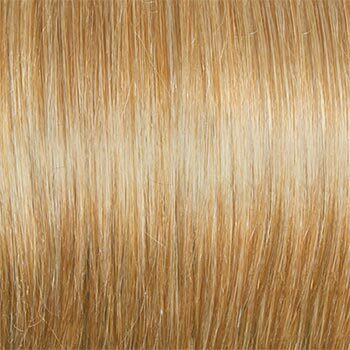 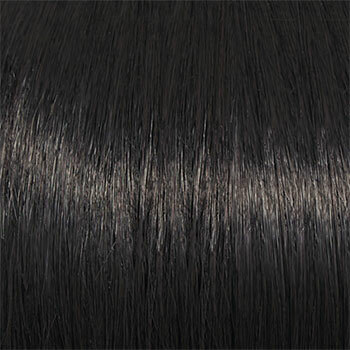 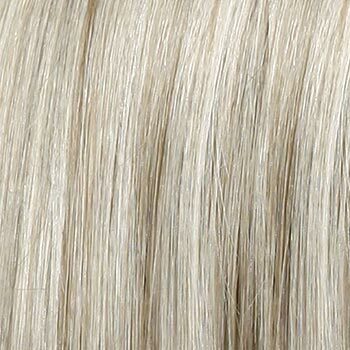 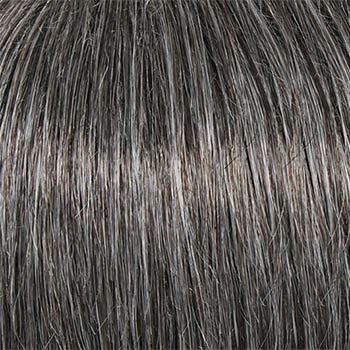 The incredibly light and comfortable 100% hand-knotted base of the Muse wig has synthetic fiber throughout the entire top, individually hand knotted, resulting in a low density, natural looking hair growth allowing for off-the-face styling options. 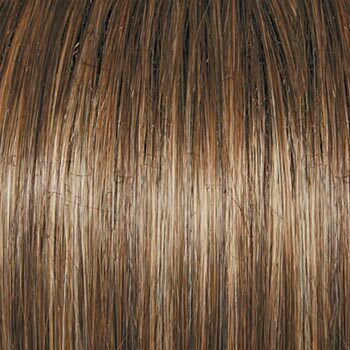 The hair of Muse can be parted on the left or right or in the center. 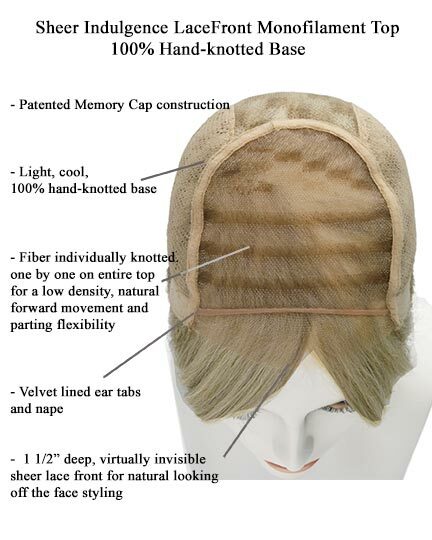 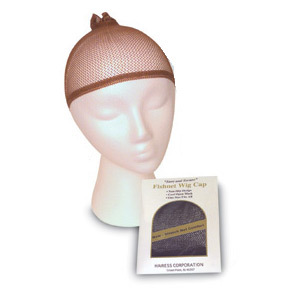 Flexible velvet lined ear tapes and nape assure more all day wearing comfort. 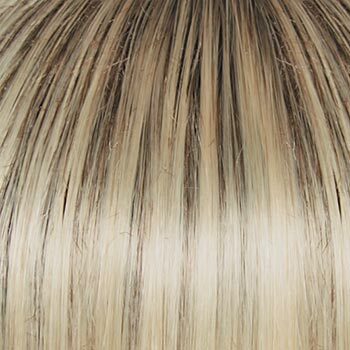 The Muse cap is uniquely crafted to offer the most discriminating woman the ultimate in wig fashion and comfort. 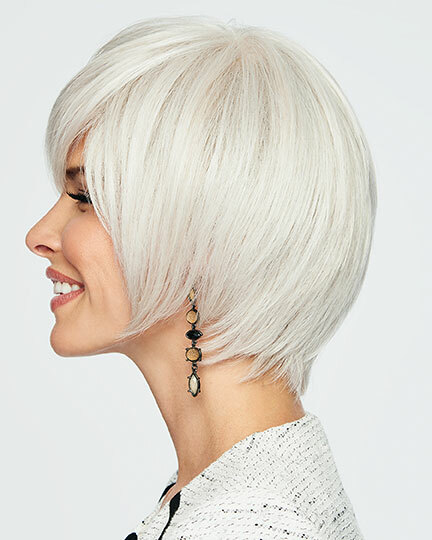 You can style the Muse wig for amazing off-the-face styling versatility. 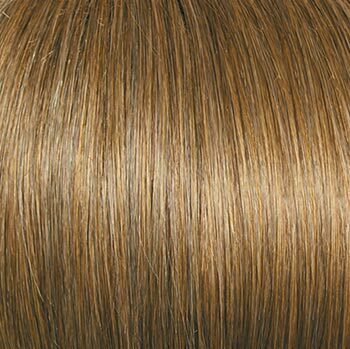 Muse is available in the exclusive Kanelaon Vibralite colors that simulate protein rich hair for a natural, lustrous look and feel. 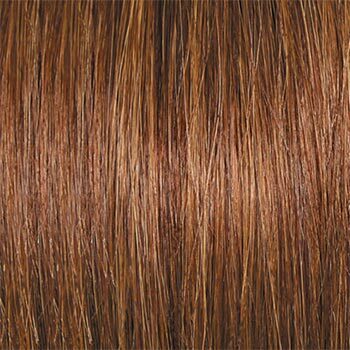 The second color way shown for Museis R829S+, Glazed Hazelnut. 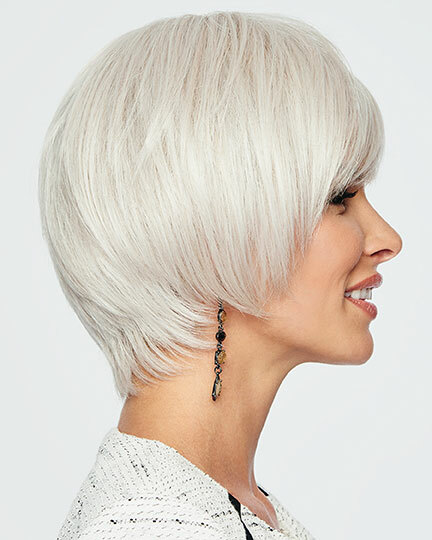 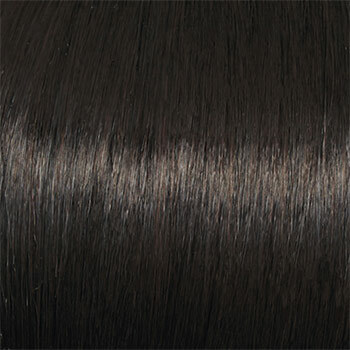 The Muse wig weighs 62 grams. 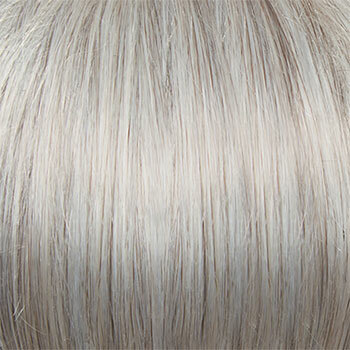 Soak your Muse wig for 5 minutes and rinse thoroughly in cool water. 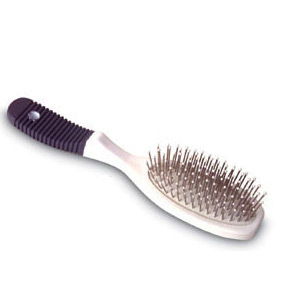 Do not rub. 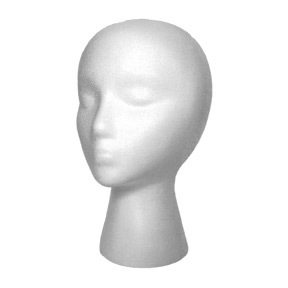 Never put your wet Muse wig on a solid head stand or block as it will stretch the cap. 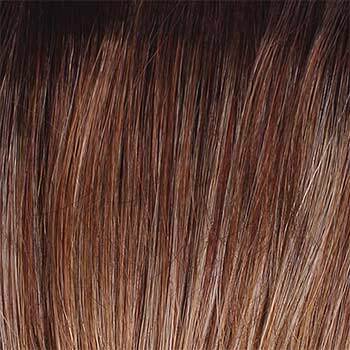 There are 31 colors available for Muse. 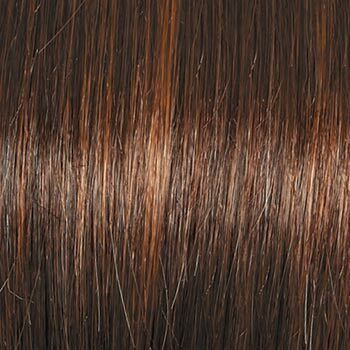 To Buy Muse, Click On A Small Swatch Below. 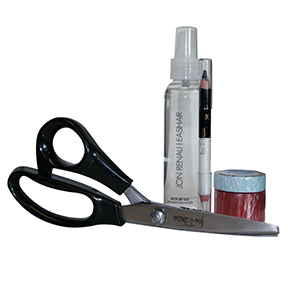 If you would like to discover other products that share some of Muse's qualities try the links below.